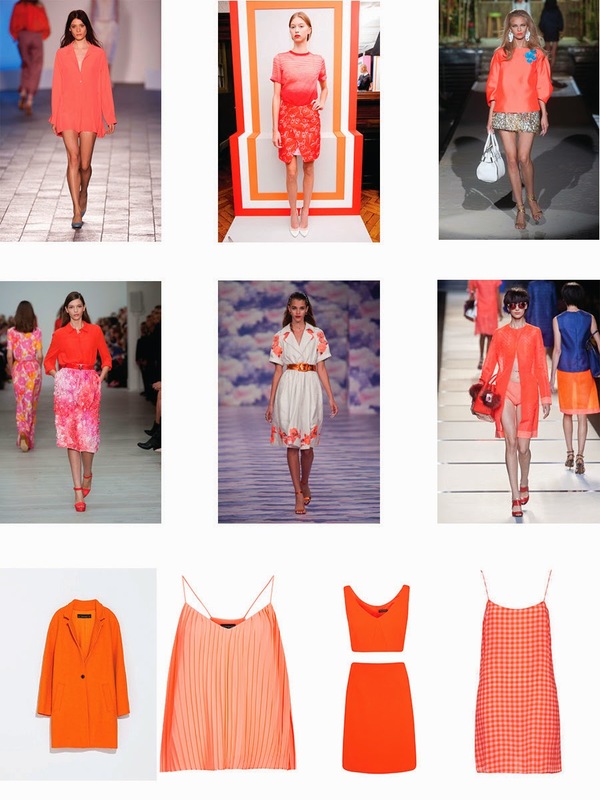 This is the 3rd post in my series of SS14 top colour trends and is all about orange. All shades of this colour are just so flattering and I am especially drawn to the slightly more coral shades which seem to be very popular everywhere right now. At the same time I can't wait to buy some really bright orange pieces for my holiday to Turkey as they will look great with a tan! I have been lusting over the Miss Selfridge co-ord but my budget as a student at the moment is so low so I'm having to hold back. Topshop have got it spot on with their silk gingham dress, two of my favourite trends in one, but unfortunately it is part of their Boutique range so is way to expensive for me. Hopefully a cheaper dupe will come out somewhere soon, please? !